What Is Radical Skincare Eye Revive Creme? Radical Skincare is a brand founded by sisters, Liz and Rachel, daughter of top plastic surgeon, Dr. Richard Edlich, who started formulating skin transformative solutions for various skin issues right in their own backyard, and now bottles formulas that offers high antioxidant levels like no other brand does. Radical Skincare Eye Revive Creme, US $125 for 15 ml, is a tiny bottle of formula that commits to radically change the tired way skin around your eyes appear. However there are many other well known brands in the market with similar effects and ingredients and they come in a affordable range. Radical Skincare Eye Revive Creme – Does It Really Work? Provide intense moisture boost that helps restore your skin’s health while also improving the look of firm skin around your eyes. Improve the appearance of eye puffiness as it lifts and firms up your skin. 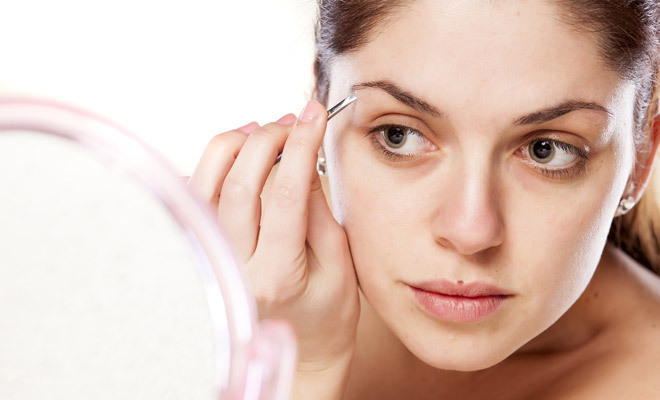 Lighten and brighten skin around your eyes, including dark circles and age spots. Soothens and calm your skin. What Are The Ingredients Radical Skincare Eye Revive Creme? Malachite: Minerals derived from stone, it has strong antioxidant properties that shield your skin from free radicals and other environmental causes of damage. Jojoba Oil: This ingredient acts as an anti-inflammatory agent, soothing the irritated skin.It can cause some side effects such as rash and allergic reactions. For best results, use Radical Skincare Eye Revive Creme twice daily following a gentle cleanse and a purifying toner. Use sunscreen daily to help protect your eye skin from further damage while this product’s formula works to treat damaged skin and revive your skin health. This product is loaded with the skin rejuvenating and protective power of antioxidants. It is formulated with anti-inflammatory ingredients that help relieve your skin from irritation and other signs of inflammation that can easily lead to permanent damage. A Radical eye revive cream review finds this product effective in restoring skin health and optimal appearance. Although many user reviews say it isn’t very effective. This product contains butylene glycol, a well known skin irritant. It uses phenoxyethanol, a neurotoxin, as a preservative. 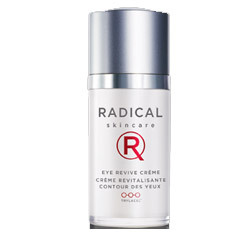 A Radical eye revive cream review may not be the best source of information to gauge this product’s performance because these are available in limited numbers. Radical Skincare Eye Revive Creme is a multifunctional product that is heavily laden with an endless list of ingredients that are well known to have beneficial impact on your eye skin health. Still, it’s clinically proven performance works differently for different people. Compare to most products in the same league, as the price of this product is on the higher side. Vernal Repair Care Eye Gel Review 2018: Ingredients, Side Effects, Detailed Review And More. I-Waken Eye Serum Review 2018: Ingredients, Side Effects, Detailed Review And More. Amaira Eye Illuminating Serum Review 2018: Ingredients, Side Effects, Detailed Review And More.